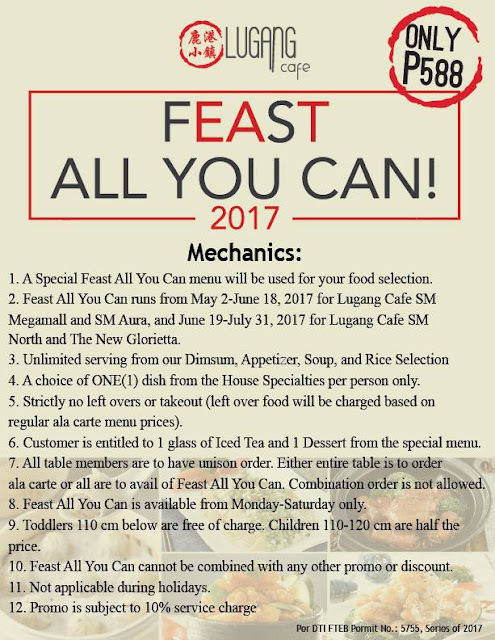 Lugang Cafe's Feast All You Can 2017 Is Here: Enjoy Unlimited Dimsum And More for Only Php 647! 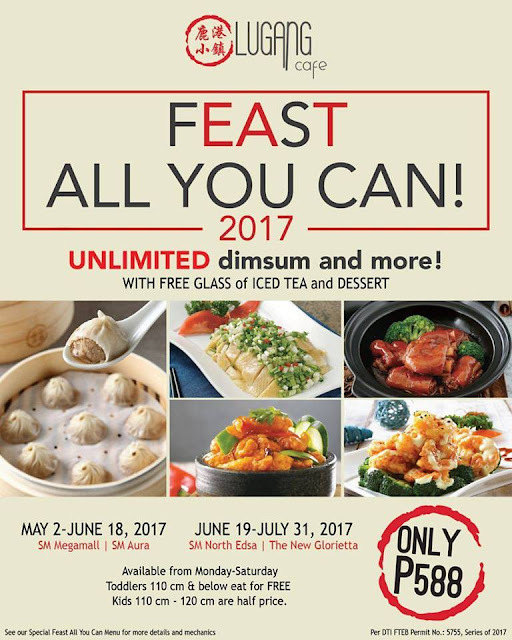 Lugang Cafe's popular Feast All You Can Promo is finally back for 2017 and you can enjoy the unlimited dimsum and more for almost 3 full months! For only Php 647 (including 10% service charge), you can enjoy unlimited dimsum, appetizers, soup, and rice from Lugang Cafe's special Feast All You Can Menu at a very affordable rate. The promotion also comes with 1 glass of iced tea, 1 house specialties, and 1 dessert. 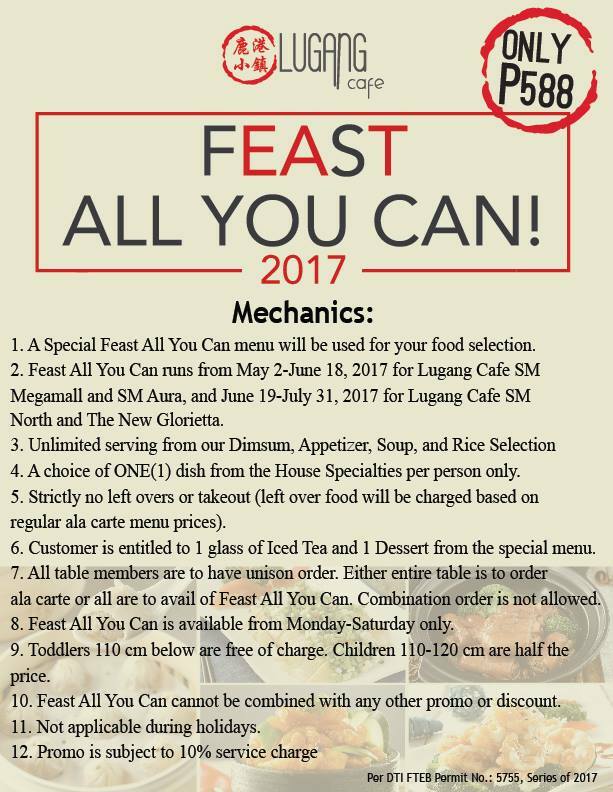 Considering that each order of Lugang Cafe's popular Xia Long Bao already costs Php 248, this promo is a very good bargain! Make sure that you come on an empty stomach because there are no leftovers allowed. I highly recommend the Kung Pao Prawns (SULIT AND YUMMY) and if you want more details check out my full review on my Lugang Cafe Feast All You Can Experience. At around the same time last year, I made sure to make the most out of this promo!